Get to know Paw Blessings: How was Paw Blessings born? Paw Blessings is a gift. It was just waiting for me to open it! It has always been there waiting for me to bring it to life. I believe that God has given me a gift of creativity and Paw Blessings is part of that gift. God put a love for animals in my heart and jewelry is something I love to make (and wear too)! So what was the obvious thing for me to do but make paw print jewelry and have the opportunity to bring happiness to people!! Talk about excited! Yeah, I’m excited all right! 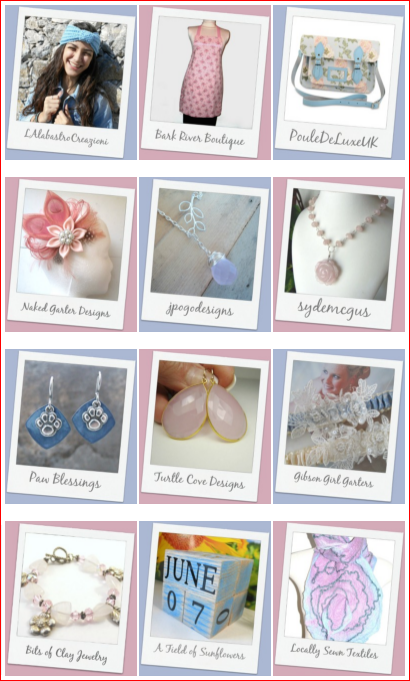 With love and creativity comes treasured jewelry for you, the dog mom, cat mom, pet parent, pet grandparent and animal lover, to enjoy everyday and always! Watch for the next article on how Paw Blessings got its name! Pet Parents! Grandpups and Grandkittens! Animal Lovers! Fur Babies! Paw Blessings is for YOU!! My own doggies ( my babies ) were my inspiration. God gave me a gift and I want to honor Him by using it to the best of my ability! I hope I can bring happiness to your heart with Paw Blessings jewelry. 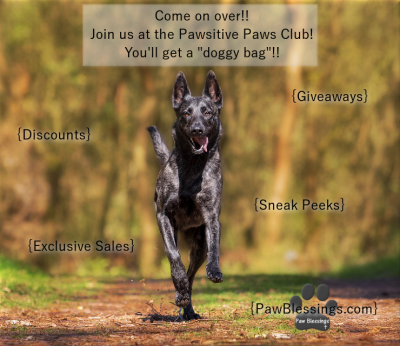 Follow Paw Blessings here on our Blog, Instagram Facebook and Twitter! Join our journey and let’s talk about our furry friends! Hi, I’m Julie, the owner and artisan at Paw Blessings and most importantly, a doggy mom! I’m the former owner of Creations With Heart ~ since listening to my heart, I’m now the owner and designer here at Paw Blessings!! A dream come true! God put a love for dogs in my heart so big, it spills over into jewelry! Actually, I have a soft spot in my heart for all animals! Who can resist those faces?! Paw Blessings has been waiting to “come alive” for a long time. So, as result of my love and passion for dogs and all animals, it is finally here! 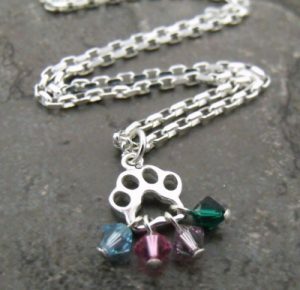 There are original dog themed and paw print jewelry designs galore for you to choose from. Some of the designs may look familiar from my previous shop, Creations With Heart. I had to shut it down so Paw Blessings could come to life! I’m so happy to finally have it up and running!! 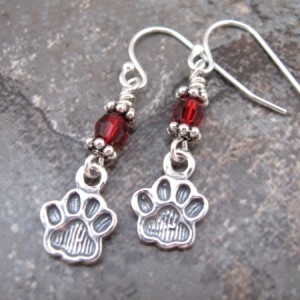 For all the pet parents out there, I have original crystal birthstone paw print jewelry. It’s extra special because it’s personalized for you and your furbaby! The other adorable designs are just as special. Each piece of jewelry will have a unique story and meaning to whomever wears it and that’s exactly why I create these designs. They are a piece of your heart and your pets heart coming together into a wearable memory. My wish is that you find pieces here at Paw Blessings that touch your heart, make you smile, laugh and reminisce.